A broadside or T-bone accident is where the front of one vehicle collides with the side of another automobile. These types of accidents occur most frequently in intersections, stop signs and traffic lights. Due to the nature of these accidents the risk of serious or fatal injury is much higher. Typically T-bone accidents are caused because one driver failed to yield the right-of-way to the other vehicle, violating traffic laws. If you or your loved one was involved in a T-bone accident and the driver of the other vehicle was at fault, then you should take swift legal action to ensure an injury settlement. Our car accident lawyers have extensive trial experience and we are highly capable of protecting your right to compensation. Injured in a T-bone accident in Walker County? Contact us today to schedule your complimentary case evaluation! With broadside collisions the blunt force of one vehicle hitting the side of another can send the car into a spin and could even cause a subsequent accident with a nearby car or telephone pole. In serious cases where the colliding vehicle is speeding, it could roll over after hitting the broadside of another vehicle. Aside from the blunt force of a T-bone accident, there is also the proximity of impact to consider. The driver in the colliding vehicle has the whole front of the car in between them and the other vehicle. However, the driver and passengers in the other vehicle who are hit from the side will have very little between them and the point of impact. With less protection and cushion from force of impact, the risk of injury can go up substantially. Most automobiles that are manufactured today do have side airbags to try and protect against this, but the force can still cause a lot of harm to the inhabitants on that side of vehicle. With T-bone accidents there is always one vehicle that failed to yield the right-of-way, it is just a matter of determining who. It is very important that traffic laws and the rules of the road are taken into consideration when determining liability and fault. If one driver had already entered into an intersection when the other vehicle then entered and crashed into them, the first vehicle had the right-of-way. In instances where one vehicle runs through a red light or stop sign and collides with another car, the liability is pretty clear. However, it is important to remember that just because you have a green light does not mean that you don't have to exercise caution when entering into an intersection. Everyone should take precautionary measures to do everything in their power to avoid a possible collision even if you technically have the right-of-way. When it comes to determining liability, your best hope is to hire an experienced Jasper car accident attorney to represent your best interests. 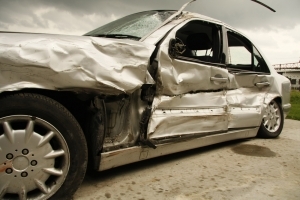 If you have been injured in a broadside crash, let our legal team help you establish who was at fault. We can conduct a full investigation to see if there was a way that the accident could have been avoided. Our firm can do this by taking a look at the evidence, skid marks, points of impact and other damage left behind from the incident. Here at Warren & Associates, LLC we take pride in protecting the rights of car accident victims, including those injured in broadside and T-bone accidents. If you would like assistance in seeking a fair injury settlement, find out how we can help. Contact our Jasper office today by calling (205) 221-1044 for a free initial consultation.